Oily skin is perhaps one of the most problematic skin types which triggers breakouts, acne, blackheads and whiteheads. Overactive sebaceous glands are the main reason for the excess oil production. It leaves a greasy finish to the skin which can be embarrassing. Thankfully, there are a number of natural home remedies that can help to solve the problem without causing any side effects. Cucumber is one such useful and inexpensive ingredient that helps to reduce excessive oiliness of skin without drying it out completely. Is Cucumber Useful for Oily Skin? As cucumber contains 90% water, it helps to hydrate and moisturize the skin without making it oily. This prevents the sebaceous glands from becoming over-active. The natural astringent properties of cucumber tightens the skin pores and helps to remove sebum, dirt and dead skin cells from the skin surface. Vitamin C present in cucumber helps to maintain the oil balance and prevent excessive oiliness or dryness. It brings back the skin’s pH to its normal range which controls the sebum production. 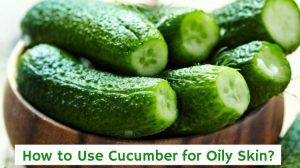 How to Use Cucumber for Oily Skin? Cucumber can be used in various ways to treat oily skin. We have mentioned them below with a detailed description. Peel 1/2 of a medium-sized cucumber and chop it roughly. Put the cucumber pieces in a blender and blend to form a paste. Pour the cucumber pulp through a piece of cheesecloth to extract the juice. Use a cotton ball to apply this juice all over your face and neck. Let it dry out on its own and then wash off with water. Alternatively: You can just massage the cucumber pulp without extracting juice for 5 minutes. Leave it on for another 15 minutes and rinse off with water. 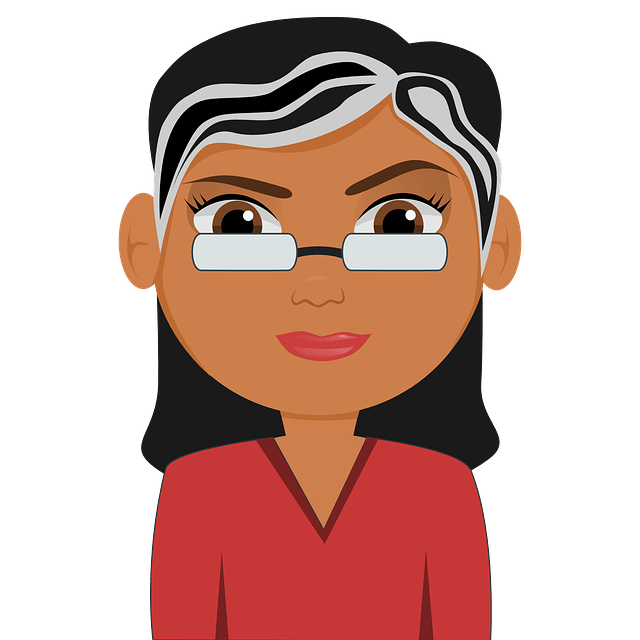 Note – If applying cucumber pulp seems too messy then you can take a few thin slices of cucumber, place it on your face, wait for 20 minutes and then discard them. High level of vitamin C present in lemon juice helps to maintain the natural oil balance of the skin. Its acidic nature restores the pH balance of the skin which helps to control sebum production by the sebaceous glands. Take 1/2 of medium-sized cucumber, peel and chop it into small cubes. Put it in a blender and blend thoroughly. Extract the juice from the cucumber pulp. Take a tablespoon each of cucumber juice and freshly squeezed lemon juice in a bowl. Soak a cotton ball in this mixture and use it to wipe your freshly cleansed face and neck. Leave it on for 15 minutes and wash off with water. Moisturize your face with a light moisturizing cream or lotion. Note – Don’t go out in the sun immediately after applying this toner. Plain yogurt contains plenty of mineral zinc that works as an astringent and helps to shrink the open pores. The lactic acid and alpha hydroxy acid found in yogurt exfoliates accumulated impurities and opens up the clogged pores. Peel and grate 1/2 of a medium sized cucumber. Take 2 tablespoons of yogurt in a bowl and whisk it with a fork. Add the grated cucumber to the yogurt and mix it with a spoon. Leave it on for 20 minutes and then wash off with lukewarm water. Egg whites are naturally absorbent in nature, so when applied to skin it draws out excess oil and dirt from deep inside the skin pores. The natural astringent properties of egg whites close the open pores and reduce oiliness of the skin. Separate the egg white from the yolk carefully. Beat the egg white with a fork till becomes thick and foamy. Add a tablespoon of fresh cucumber juice to it and mix it with a spoon. Apply a coat of this mixture all over your face and neck. Let it dry out on its own and then rinse with water. Compound glycolic acid, a particular type of alpha-hydroxy acid present in sugar helps to maintain the perfect oil balance on the skin. In addition, the combination of cucumber and sugar creates a mild abrasive exfoliant that helps to unclog the pores. Add a tablespoon of sugar to it and stir it with a spoon. Massage gently with your finger tips for 5 to 8 minutes. Leave it on for another 10 minutes and then wash off with water. Note – You can use either plain white sugar or brown sugar for this scrub. Menthol present in mint possesses natural astringent properties that shrinks the size of the skin pores and helps to control oil production by the sebaceous glands. Take a handful of fresh mint leaves and crush them to from a paste. Add a tablespoon of freshly grated cucumber pulp to it and mix it with a spoon. Wash off with water, pat dry with a towel and apply a light moisturizer. Multani Mitti (Fuller’s Earth) works as a natural absorbent that soaks up accumulated oil from the skin surface. It’s cleansing properties helps to unclog the skin pores and balance the natural pH level of the skin. Combine 2 tablespoons of Multani Mitti and some fresh cucumber juice to make a thick paste. Rinse your face with lukewarm water, dry with a towel and apply a light moisturizer. The acidic juice of tomato helps to restore the natural pH balance of the skin which helps to control sebum production by the sebaceous glands. Its astringent properties shrink the size of the pores while its salicylic acid content exfoliates the skin and unclogs the pores. Peel 1/2 of a medium sized cucumber and cut it into small pieces. Take a medium-sized ripe tomato and chop it oatmealroughly. Add both the ingredients in a blender and blend it to make a smooth paste. Now, apply this paste all over your face and neck. Rinse off with water and pat dry with a towel. Note – You can also add 2 tablespoons of sandalwood powder to this mixture to increase the thickness of the face pack. Saponins present in oatmeal acts as a powerful cleanser that soaks up excess oil from the skin and opens up the skin pores. Cook 2 tablespoons of in warm water. Let it cool down a bit and then add a tablespoon of freshly grated cucumber pulp to it. Mix the ingredients with the help of a spoon and apply it to your face and neck. Leave it on for 30 minutes and then rinse with water. Being a natural absorbent, honey soaks up excess sebum from the skin surface. Humectant properties of honey prevent the skin from drying up which in turn stops the sebaceous glands from becoming over-active. Peel, chop and blend 1/2 of a medium sized cucumber. Using a cheese cloth, strain the cucumber pulp to extract the juice. Add 1 tablespoon of honey to the cucumber juice and mix it with a spoon. Soak a cotton ball in this mixture and apply it all over your face and neck. Note – It is best to use raw, organic honey or Manuka honey for this remedy. It is best to use fresh cucumber juice or pulp for all the remedies for maximum benefits. Other than applying cucumber to skin, you can also include cucumber in your daily diet to reduce oiliness of the skin. Consumption of cucumber can cause oral allergy syndrome in some people. Some of the allergic response includes swelling of the lips and tongue, irritation of the eyes or gum tissues. Avoid using bitter cucumbers for topical remedies or for consumption. The bitter portions of cucumbers contain toxic compounds tetracyclic triterpenoids or cucurbitacins that can be fatal in large dosage. Follow a proper cleansing, toning and moisturizing routine for your skin and opt for a weekly exfoliation regime. Use a mild foam-based cleanser to wash your face twice a day. Over-cleansing can strip away the natural oil from the skin and trigger excessive sebum production by the sebaceous glands. If your face becomes greasy too frequently, then use a tissue paper or bloating paper to wipe your face. Try to use lukewarm water to cleanse your face because hot water is excessively drying. Reduce stress by practicing yoga, breathing exercises, meditation, etc. Get at least 8 hours of restful sleep every night. Follow a healthy diet rich in fresh fruits and vegetables. Drink plenty of water every day. Try to avoid oily, fatty, fried and processed foods. Get rid of oily skin naturally with the help of these remedies and let us know which remedy worked best for you. Don’t forget to share your experience and queries in the comments section below.